Your brain is the control center for your body. Not only does it direct involuntary and voluntary movement, but it also acts as the generator of your thoughts and feelings. Thus, when you suffer from brain injuries, it can have long-term, damaging effects on your life and abilities. Sometimes, even after a period of recovery, brain injuries can prevent you from working and earning the wages that you need. If you have suffered from a brain injury that now inhibits you from work, you may be entitled to financial compensation to help you. To discuss the best way to file for disability, contact an Indiana long-term disability attorney from Hankey Law Office today at (800) 520-3633. Frustratingly, though, it can be difficult to prove that your brain injury is a disability. If you need help in proving your case, you should talk to a disability lawyer immediately. When you are suffering from a disability, you do not need the added stress of fighting for the disability help that you deserve. 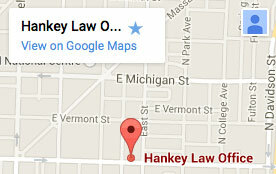 If you require legal assistance with your disability case, you should contact an experienced Indiana long-term disability lawyer from Hankey Law Office at (800) 520-3633 today.